The Apple-Samsung case has dragged on for about six years so far, with no end in sight. The first case, involving design patents, has had a trial, gone to the Federal Circuit, up to the Supreme Court, where a unanimous Court sided with Samsung. The case is now back at the district court, which has to decide which “article of manufacture” on the infringing Samsung phones includes the patented design. Apple is continuing to try to salvage its $400 million damages award by any means necessary, including effectively nullifying the Supreme Court’s decision. Back in July, the district court asked the parties to address several outstanding issues, including the proper test for determining the “article of manufacture.” Apple recently filed its first brief responding to the court’s order. Apple had a difficult choice to make in crafting its response: take a more defensible position that salvages as much as possible of that award, or stubbornly argue for the whole award no matter what it takes. Apple is going for broke. The test seems to be carefully constructed to avoid the “cup holder” hypothetical, which was first raised by Judge Bryson of the Federal Circuit and later came up in arguments at the Supreme Court. The hypothetical questioned whether a design patent for a cup holder in a car would entitle the patent owner to profits for the entire car. Apple’s factors, however, might still leave the cup holder hypothetical as a difficult and expensive question; if the car manufacturer intentionally appropriated the design and does not account for cup holders separately in its sale of vehicles, a defendant still might be liable for profits made on the entire car sold. The brief also largely ignores the Supreme Court’s decision, which unanimously held that: “The term ‘article of manufacture,’ as used in § 289, encompasses both a product sold to a consumer and a component of that product.” Instead, Apple continues to argue that the “article of manufacture” is the product for sale. It softens its position slightly by arguing for a default rule that the article of manufacture is the product sold, but this is still inconsistent with the Court’s opinion. Apple’s attempt to shift the burden to Samsung is also problematic. The Court specifically said that identifying the “article of manufacture” is the “first step of the § 289 damages inquiry.” Because damages have to be proven by the patent owner, one would think that Apple has to have some role in identifying the correct article of manufacture as the first step of proving damages under § 289. Furthermore, infringer’s profits under § 289 are an additional potential remedy that is available for design patents, not the exclusive remedy. 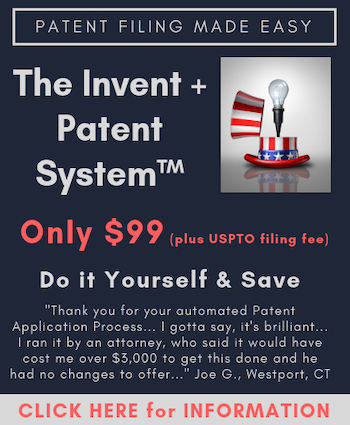 It is hardly too much to expect patent owners to prove the correct article of manufacture, using the images of the design patent itself. It’s understandable that Apple wants that $400 million. But let’s hope that we don’t end up with a mess in design patents as a result. Matt Levy is the former Patent Counsel at the Computer and Communications Industry Association (CCIA), where he handled legal, policy advocacy, and regulatory matters related to patents and wrote the Patent Progress blog. He is now a consultant on patent policy issues and patent litigation. The REAL reason that Apple has a hard time with defining “article of manufacture” test/construction is that an aggressive stance (one that tries to get the entire phone covered rather than a component) is going to be used AGAINST APPLE in future cases by the 100(s?) of other small companies whose patents Apple is (allegedly) directly or indirectly infringing on. What is good for the GOOSE….is also good for the GANDER. It is hard to read Matt’s stuff. The guy is a propagandist so reading anything he writes is like looking through waste water to see if there is anything of use. More that just this one big Apple design patent damages case* is at stake. The entire Apple international “patent war” against Samsung will have been an extremely expensive waste of money on litigation attorneys [perhaps more that a billion?] if there is not a significant final infringement damages recovery in this case, because there was not any substantial net recovery in any others. Furthermore, the Apple patent suits have and exposed how surprisingly few Apple patents could be asserted against Samsung. Apple has done far better at defending itself against numerous patent suits by others. *in spite of questions about the effectiveness of Samsung’s 103 defense presentations against these design patents, not helped by lack of clarity in Fed. Cir. cases on that subject. Matt, Samsung and others have by now learned the hard way to be more careful not to design the outside of their products to look so much like design-patented Apple products. But extended-pendency design patent “divisional” applications seem to need more legal clarity.